This year marks the 9th annual golf scramble to support Portman, Glen Avon, and Congdon. This gives us the opportunity to include all of Duluth East Hockey to enjoy in this opportunity to support our local organizations. To register for golf please see the registration attached, or click on the link for online registration and fill out the form. The cost is $80 the day of the event. Included is your golf round, cart, and dinner. Please forward to friends and family who might be interested in participating. Format: 5-person scramble team (teams play from their best available shot) – If you would like to play but do not have a group of 5 players, let us know and we can pair you up with a team. Awards/Dinner Social: Will immediately follow at the golf course. 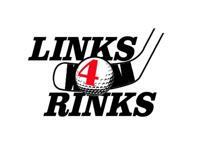 Contribution: $80/per person - Includes greens fees, golf cart, dinner, raffle ticket, silent auction, and tee prize. To register, please contact Matt Licari with Portman Hockey. If you know a business or you are interested in sponsoring a golf hole or have items for the raffle please contact me through email.